This is a guide to running Nginx and PHP-FPM on Kubernetes. 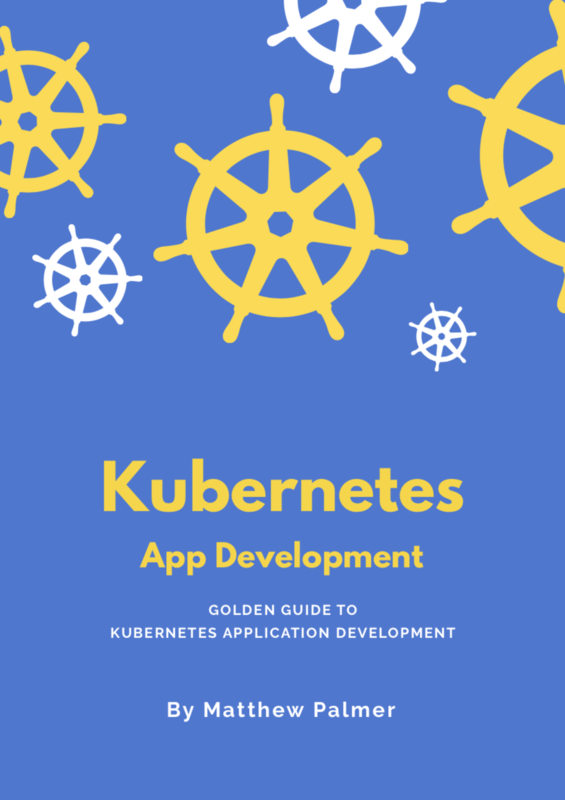 You’ll get an overview of each component in the environment, plus complete source code for running an application using PHP-FPM and Nginx on Kubernetes. PHP is a scripting language used for web development. CGI scripts are a way to run a script on the server when that server receives a HTTP request. Fast-CGI is an improvement on CGI which is—yep—faster. PHP-FPM is an implementation of Fast-CGI for PHP with improved capabilities around process management, logging, and high traffic situations. Nginx is a web server and reverse proxy that’s widely used for high traffic applications. When run in combination with PHP-FPM, Nginx is configured to send requests for .php routes to PHP-FPM to serve the page. Kubernetes and Docker run our Nginx and PHP-FPM processes in a Kubernetes cluster. We’ll create a Docker image that includes our application code, and configure a pod to run containers from that image in Kubernetes. In combination, Nginx serves web pages, passing requests for .php files to PHP-FPM. PHP-FPM takes the request from Nginx, handles dynamic processing of PHP, and gives the result back. Docker packages up our application, and Kubernetes makes sure it’s running. PHP-FPM and Nginx need to have access to the same files on the filesystem. In Kubernetes, this means they need to be running on the same pod, and we’ll use a volume to share files between the two containers. Create your PHP application. In this article, we’ll use a simple hello world example. Create this file and call it hello.php. Now create a Dockerfile based off the FPM variant of PHP, which is php:7.2-fpm for us. Copy your PHP source code into a directory in that Docker image. We’re going to have two containers running in the pod. One runs PHP-FPM to handle dynamic PHP processing, and the other runs nginx to act as a web server. Both containers read from a shared volume. We need to set up our configuration settings for the nginx container we’ll create. Here, we tell nginx to send any request for a *.php file to our PHP-FPM application via localhost:9000. 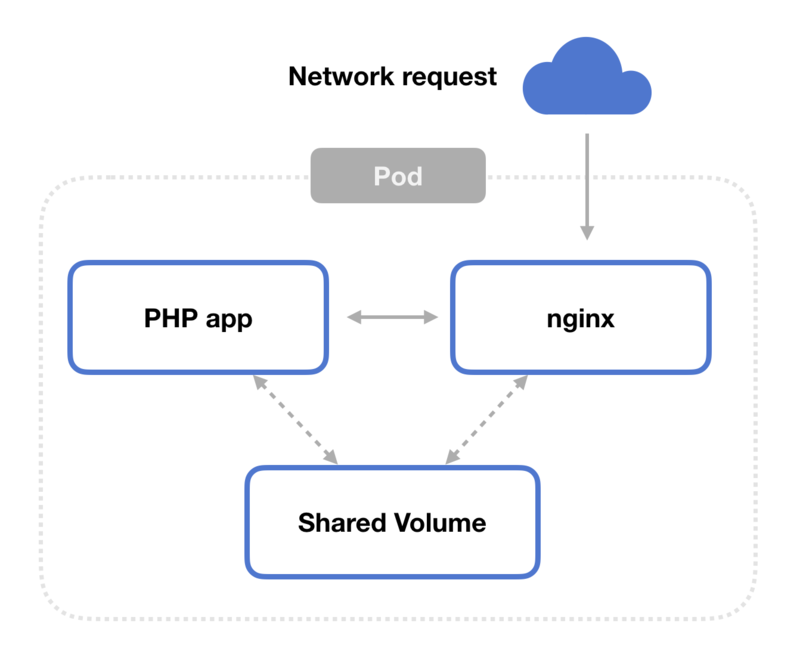 Finally, we can create the Kubernetes pod that runs our application container and the nginx web server sidecar. Be sure to read through the comments in the gist.